Additional Notes: MALE: Doodle mix, adult, wearing a red collar, no tags. 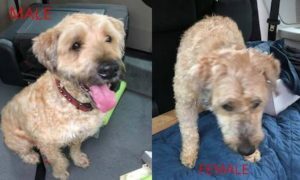 FEMALE: Doodle mix, adult, not wearing a collar. Both found roaming on Nov. 3/18.